The Bellflower pond aerators provide excellent water aeration plus an eye-catching display of compact water spray. The Bellflower Pond Aerators provides pond aeration with a strong, compact cone-like spray pattern, more vertical than wide – a great fountain look. 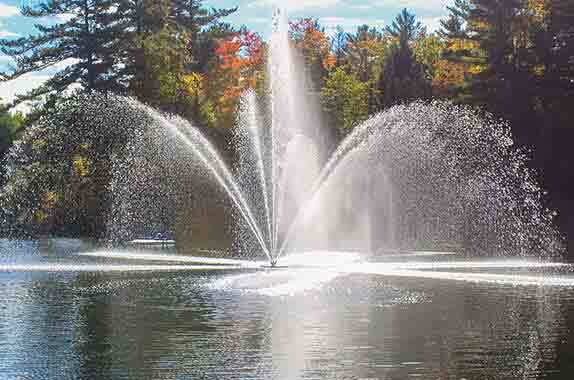 This Made in Canada Mirage Pond Aerators is sure to capture plenty of attention!